It provides enhanced protection for your cells to keep the integrity of which and stop it from breaking down or, from being destroyed too soon. It enhances your bone health, menopausal women being at higher risk for the development of osteoporosis and joint pains, makes this an important function in improving your quality of life now and in the years to come. It helps makeup for lost natural estrogen in the body so as to lessen the severity, intensity and frequency of your menopause symptoms. Soya Isoflavones – Does it Really Work? Soya Isoflavones work by improving hormonal balance, bringing back your severely fluctuating estrogen hormones back to their normal levels. By normalizing estrogen, it also helps improve processes in your body affected by estrogen, that includes bone development, tissue repair, countless brain synapses that help you feel better and focus better, and even enhance your immune response. 1 up to 2 tablets of Soya Isoflavones should be taken daily. Take note to never exceed this recommended daily dosage as supplements can also cause overdosing. This product is formulated with isoflavones from soya and not red clover. Easy to use, easy-to-follow one-a-day dosage, and easy to swallow tablet make it generally easy to stay on this supplementation regimen. Each tablet contains a high concentration of a full 50 mg pure isoflavones, making it one of the UK’s strongest supplements for relieving symptoms of menopause. This supplement reflects the level of isoflavones that researchers have used in studies that demonstrate this ingredient’s potency in relieving multiple symptoms of menopause. This supplement is only intended to complement your diet and cannot be used as a complete replacement for regular meals. Although many studies have demonstrated the estrogenic effects of soya isoflavones, more rigorous and large scale studies need to be implemented to establish its beneficial effects for improving the health of women undergoing menopause. This product may not be available in all locations. There are limited user and expert reviews about this product which makes it difficult to gauge product performance based on other people’s actual experiences. Does Soya Isoflavones Have Any Side-Effects? Soya Isoflavones may, indeed, hold nature’s answers to your most worrisome, painful and discomforting menopause symptoms. Although, results can vary across users. In fact, when it comes to supplementing for menopause, you have to open your eyes, know your options and study the best alternatives that suits your diet, lifestyle, symptoms, and health condition. What is the Price of Soya Isoflavones? Each bottle costs $15. 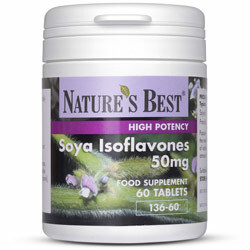 Where to buy Soya Isoflavones? This product may be bought online from the official brand website or, from top online retailers and resellers. Does the Soya Isoflavones come with money back guarantee? Yes, all products purchased from the official brand website may be returned within 3o days from the date of purchase, even when you just decided to use something else. Is Soya Isoflavones approved by the FDA? No, this product is considered as a supplement. The FDA does not require supplements to be reviewed or approved. Who Should Use Soya Isoflavones? 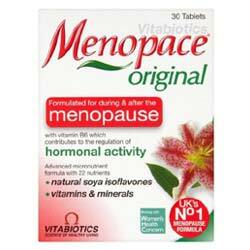 This supplement is recommended for women undergoing or well into menopause. Should I use the Soya Isoflavones once or twice daily? This supplement may be taken once up to twice daily. Do not exceed recommended dosing. How long does one bottle of Soya Isoflavones last? One bottle of Soya Isoflavones contain 60 tablets which, when taken twice daily, will last you for 30 days, and up to 60 days if taken once daily. How long will results last? Results last only while you keep supplementing. Any improvement experienced gradually wears off when use is discontinued.